Lisbon Oceanarium, in Parque das Nações, Lisbon, is the second biggest aquarium on the whole world, it has a wide quantity of animal and plant species as fishes, mammals, birds and other. 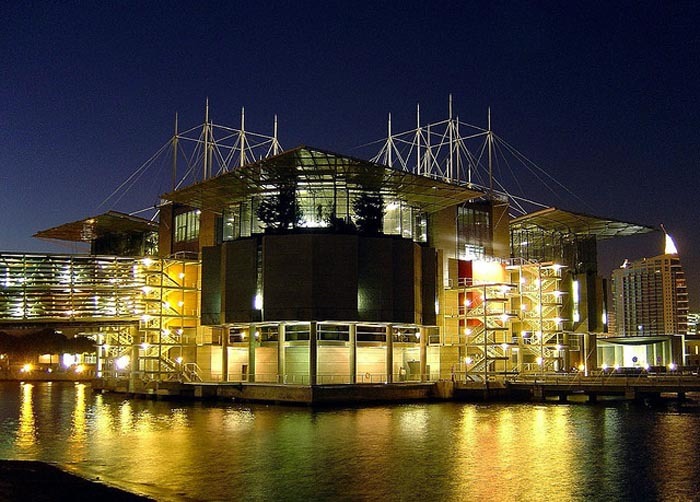 This attractive oceanarium receives approximately 1 million visitors every year and it was built for the Expo 98. 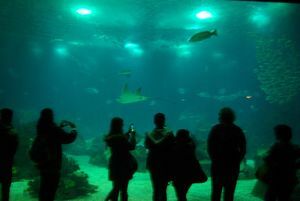 It’s constituted by more than 30 aquariums with 8000 animals or other organisms from 500 different species. On the central area of the Oceanarium, it’s enclosed a giant central aquarium with nearly 5 million litres of water where you might observe numerous marine species as the famous sharks, tropical fishes, tunas, sting rays, barracudas and many others. The Lisbon Oceanarium has received many prizes and certificates which recognize its contribute to the promotion of the importance of protecting the Oceans and reminding people of the relevance of marine species and their ecosystems for life on earth. There are many activities for every age as concerts for babies, the “Sleeping with Sharks” project, birthday parties and many other that require previous reservation. There’s even a family ticket that you might buy for 47,00€ for 2 adults and 2 children until 12 years old. There are special prices for books previously appointed. Contact the Oceanarium for more information. Bus: 705, 25, 28, 708, 750, 759, 794.